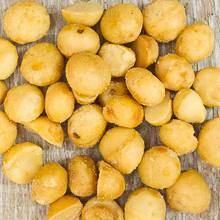 These delicious roasted and salted macadamia nuts make a great snack. 7/25/2014 – I used to buy your macadamias when I lived in California. They're the best I've ever had!